London Fire and Safe has a range of secondhand safes that might suit what you are looking for whether it be fire resistant, basic security or higher security. 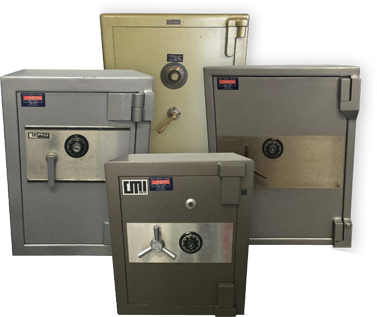 As our inventory of secondhand safes constantly changes please give us a call to find out what we have in stock and we can send you all the specifications that you require. Our secondhand safes are fully serviced and you have the choice of locking option. So why not phone Rose or David and they can assist you with selection, purchase and delivery. We follow highest quality standards in refurbishing and reconditioning of the second hand safes in order to provide you the top quality second hand safes at prices which are unbelievably low. The safes we deals in are well tested in some various extreme situations in ensure than the safely of your belongings and possessions and they fulfill all quality standards in security issued by the various bodies. Even though they are of top quality and as good as new, they are still available at prices really cheaper than the new ones. You could choose from our vast range of safes available in various sizes and categories like Cash Safes and Fire safes with various security systems as per your own requirements.